A huge blaze tore through the iconic Notre Dame Cathedral on Monday evening. The spire collapsed and the beams of its roof were engulfed in flames. According to French media reports, the blaze may have been ignited during restoration work, Sputnik reports. London’s iconic Houses of Parliament are at risk of a major fire as devastating as the one which ravaged Notre Dame in Paris, UK MPs have warned. The Palace of Westminster is also undergoing major repair work, but experts caution that the work is proceeding too slowly, and every day the risk of fire grows greater. Labour MP Chris Bryant, who sat on a joint committee examining the issue, said: "We have taken far too long already putting our fire safety measures in place. "Parts of the Palace are as old as Notre Dame and we must make sure that every fire precaution is taken as the major work goes ahead." A "restoration and renewal" programme isn't expected to start until the mid-2020s. A 2016 joint committee report warned of "a substantial and growing risk of either a single, catastrophic event, such as a major fire, or a succession of incremental failures in essential systems which would lead to parliament no longer being able to occupy the Palace." Another Labour MP, Anna Turley, was shocked by the state of the building when she was first elected in 2015. "On my induction, my 'buddy' was an engineer," she said. "He showed me the electrics — it looked like a health and safety disaster and fire waiting to happen." The original Palace of Westminster was mostly destroyed in a huge blaze in 1834. A new building was created in the mid-19th century by architect Charles Barry, who tried to make the building more fireproof by using cast iron and stone instead of wood. However, the interiors created with Augustus Pugin use huge amounts of flammable materials. This, along with a huge network of vents and floor voids created for ventilation has created perfect conditions for fire and smoke to spread around the building. The Palace has fire systems in place, but those, too, are out of date, forcing fire safety officers to patrol the building every day, on the lookout for signs of a blaze. 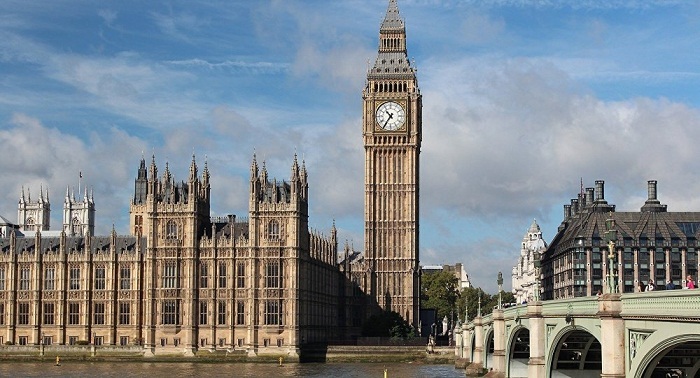 Earlier this month, a water leak in the Commons caused debates to be suspended briefly. Tory Cabinet Office minister David Lidington said the leak was a reminder of the need to solve Parliament's problems. Writing in the Bucks Free Press, he said: "several times in the last year, chunks of masonry have fallen off buildings. "We've been very lucky no one has been seriously injured." "Worse, the electrical, plumbing, heating and sewerage systems are well beyond their expected working life span and in a dilapidated state. "With each year that passes, the risk of a catastrophic fire grows." World leaders and millions of people from around the globe are mourning the damage wrought by the fire at Notre Dame Cathedral and have expressed solidarity with the French people in the wake of the blaze. UK Prime Minister Theresa May also supported the Parisians. “My thoughts are with the people of France tonight and with the emergency services who are fighting the terrible blaze at Notre-Dame cathedral”, she tweeted.